Visit WMRT Website Woolass.net is not affiliated with the Wasdale Mountain Rescue Team but does wholeheartedly support their efforts. March 2011 - Wassy is on a mission. Following the 22nd Feb (2011) earthquake that struck Christchurch Wassy has returned to New Zealand on a mercy mission, please wish her luck. 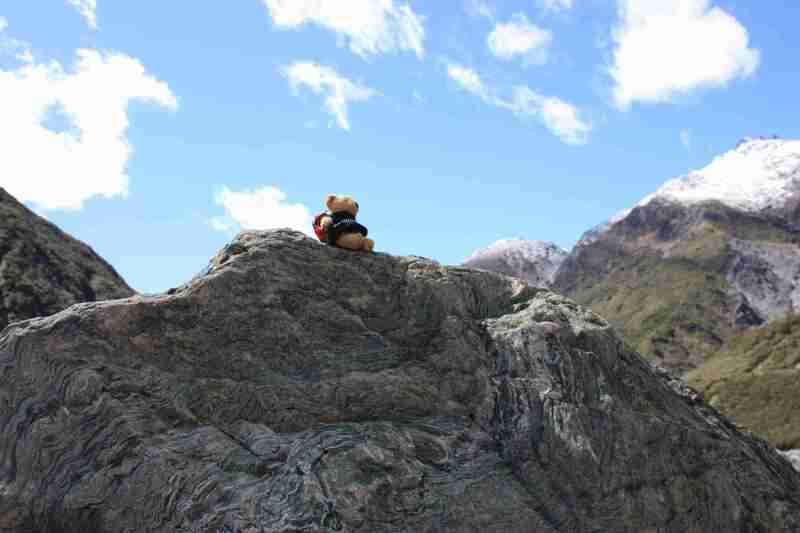 Late in 2009 the Wasdale Mountain Rescue Team produced some rescue teddys, small teddy bears carrying a back pack with the WMRT logo on. Supporters were encouraged to to make a donation and buy a bear. To promote the fundraising effort they made a video of a dramatic rescue on Diamond Crag, Eskdale, Cumbria. 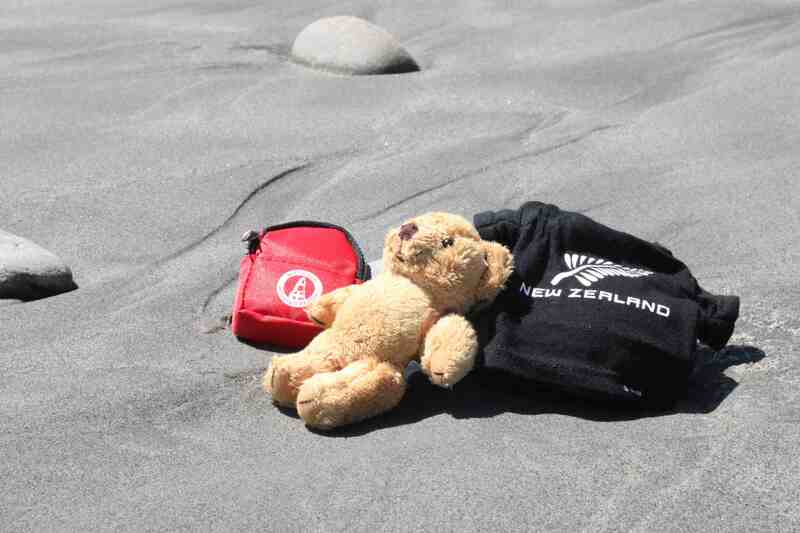 They also invited supporters to send in photos of their teddy in an extreme location / sport. I obtained my teddy just before going on holiday to New Zealand, so packed it with my camera ready for the trip. We had great fun taking pictures of Wassy, getting her a partner, striking up conversations with many strangers about the bear, Cumbria and WRMT. (Though, sadly, not one of them offered a donation - I do hope that the message spreads and they donate to thier local teams, where ever in the world that may be.) Maybe they thought we were just barmy, which we probably are, but it was a great laugh. The secuity guards at Sydney airport weren't to impressed with us getting a picture against the Virgin Australia inaugural flight welcome board! I finally got round to shrinking the file size, they down load quite quickly now. View Mt Cook slideshow Plays automatically. View bungee slideshow Select play button when ready to watch the jump! View Fox Glacier slideshow Plays automatically.